This is the Stochastic Momentum Index as introduced by William Blau- see Stocks & Commodities, January 1993 for additional information. 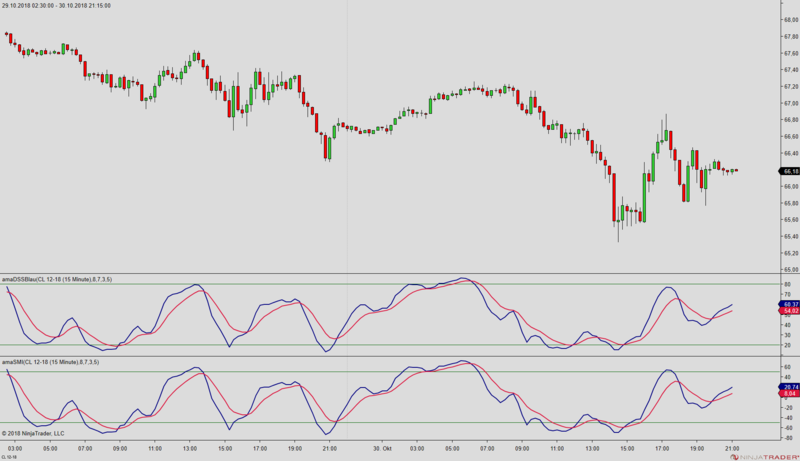 The Stochastic Momentum Index is a modified version of Blau’s Double Smooth Stochastics indicator. Plot on a range on a scale from -100 to +100. However, the same rules of interpretation can be applied. If the plot has been moving below the -50 level and crosses the signal line, it can be interpreted as a buy signal. Conversely, if the oscillator has been above the 50 level and crosses below the signal line, it can be taken as a sell signal. This setting corresponds to the 25 / 75 levels in Blau’s Double Smoothed Stochastics. See Chart illustration.